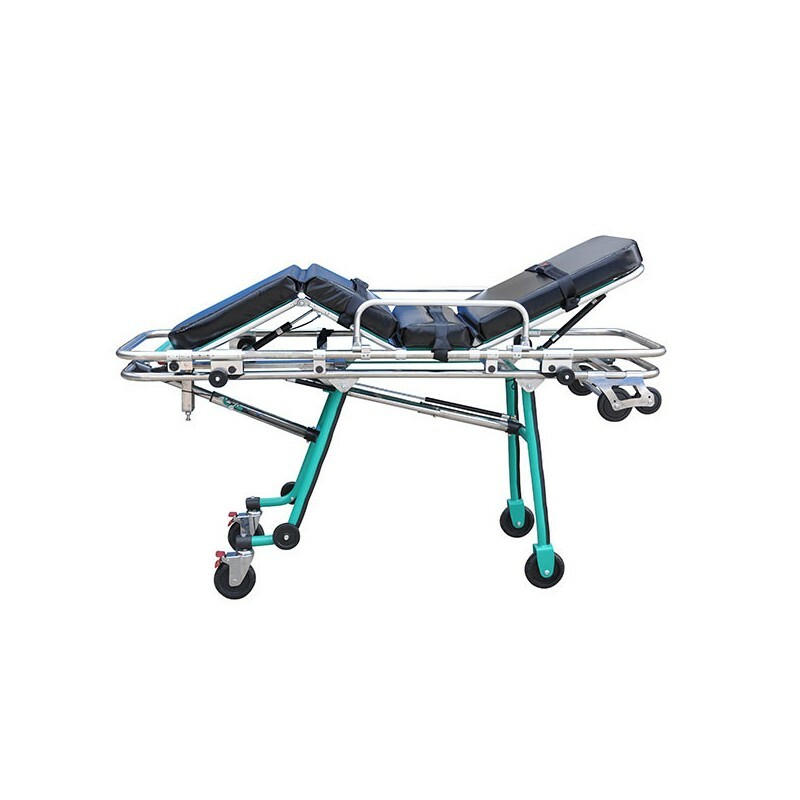 This H-Frame multi-height stretcher is built with rigid stainless steel legs for increased weight loads and commercial use durability. The stretcher offers many functions that make it ideal for inner facility use, residential use, and for transportation. 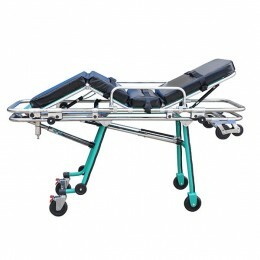 It's all terrain castors help navigate over many different surfaces both inside and outside more easily. 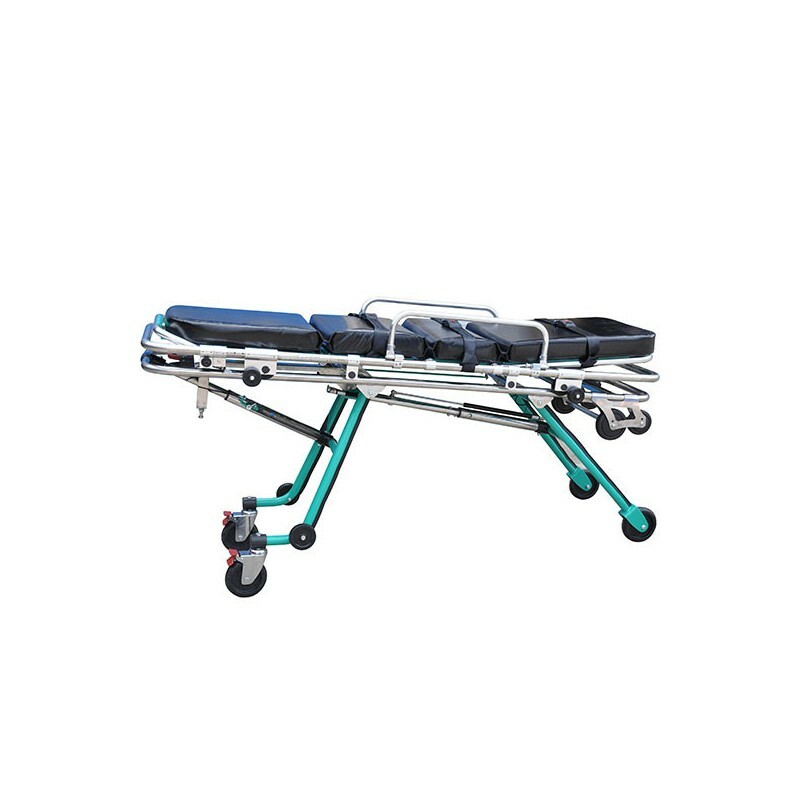 One person can adjust the height of the cot on either end independently from one another, and can load into a vehicle. 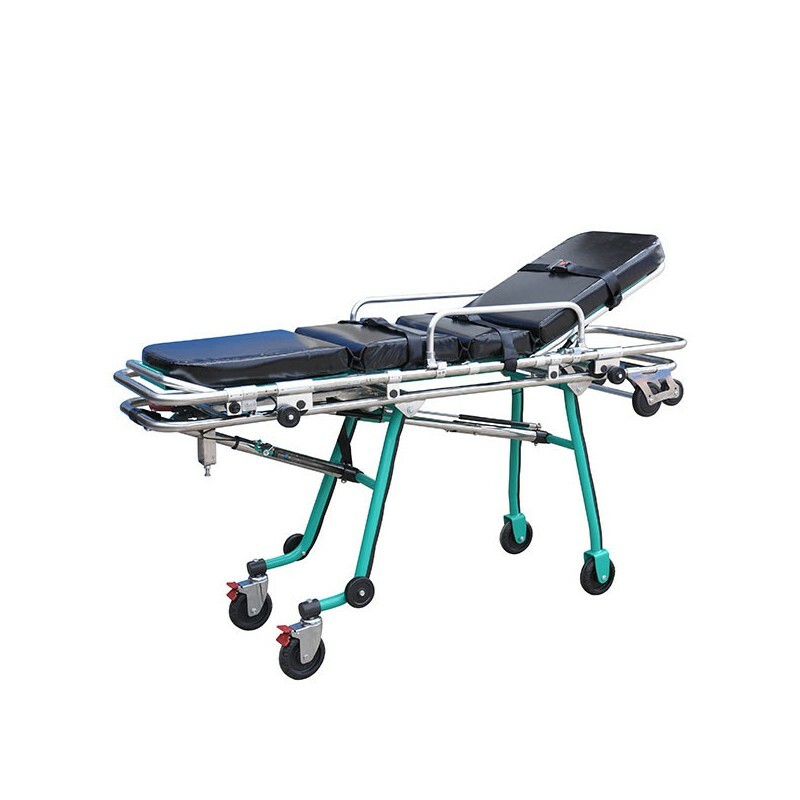 The head rest area can be adjusted, as well as elevating a patient's knees to relieve stress from their lower back while in transport.